With Solve for Google Sheets you can access a wide range of Solve CRM data directly from Google Spreadsheets to easily generate powerful personalized reports and charts. 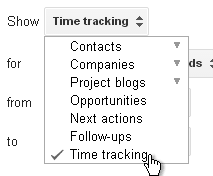 Pull Solve’s “Time tracking” report into Google Sheets, similarly to how you can pull in Opportunity, Next actions and Follow-up reports. Snap up each dollar you’ve earned. Gain useful insight on how each member of your team is managing their time, and ensure billable hours are communicated quickly and effectively with your accounting team in the heat of battle. Time tracking in Solve helps you organize each users billable or non-billable hours spent on client activities, and track which ones have been invoiced. Achieve peace of mind that you’ve left nothing on the table. Time tracking is available for events, calls, and tasks. 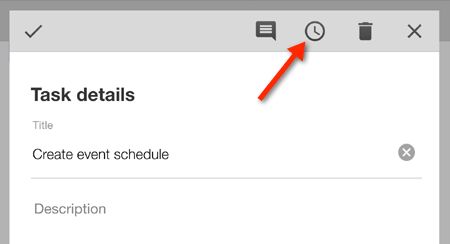 To record the time spent in the desktop application just hover over the activity and click the clock icon. On your iPhone / iPad or Android device tap the activity to open the edit form then tap the clock icon.